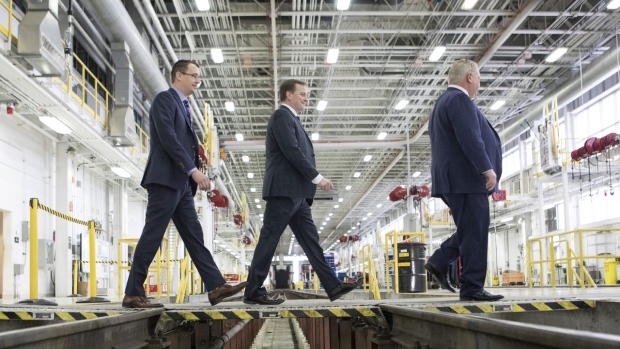 Construction on the new Ontario Line may not begin for another two years, according to the transportation minister, giving the province just six years to complete the project as promised. Premier Doug Ford unveiled plans for the new $10.9 billion standalone subway last week with a promise that the downtown relief line would be operational well before 2029. The 15 kilometre Ontario Line is bookended with stops at Ontario Place and the Ontario Science Centre with at least 13 stops in between. The complex design, which would be build part underground and part above ground, would also involve building two bridges over the Don River instead of tunneling under the waterway. The provincial budget, tabled last week, also included broad plans to introduce an “aggressive early works program” to begin construction as soon as possible. 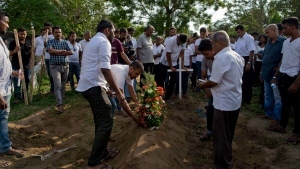 “…leveraging the Province’s unique ability to expedite approvals and enabling works, with a target to have shovels in the ground by the end of next year,” the document stated. University of Toronto professor Matti Siemiatycki, who holds a PhD in urban planning, said the province's plans are “conceivable” but cautioned that the government would need to be disciplined and motivated to move the project forward. 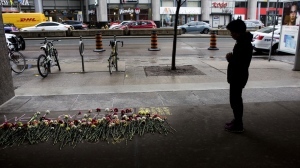 "The issue in Ontario is the money," Siemiatycki told CTV News Toronto. "We have had a very hard time agreeing politically and we have a very hard time with the funding." The province has committed $11.2 billion of the $28.5 billion required to build four transit lines – the Ontario Line, a three-stop extension of the Scarborough subway, the Yonge line extension and Eglinton Crosstown west underground expansion to Toronto Pearson International Airport. Siemiatycki said he believes the province has a pathway to completing the project by 2027 if it breaks down the project into at least three phases. The first phase would involve building the "spine" of the line – from Pape Station southwest to Osgoode Station – which has already undergone advanced planning. The second phase, Siemiatycki believes, would be the construction of a rougly 500 meter long bridge over the Don River to the Ontario Science Centre, which would cross a valley below. Siemiatycki anticipates the southern extension to Ontario Place would be the final part of the project because there has been little to no design work done so far. "There is a squiggly line on a map," Siemiatycki said. Yurek acknowledged that the plans for the downtown relief line, which is currently being designed by the City of Toronto, TTC and Metrolinx would still have to be uploaded to the province before work could get underway. “The key is to ensure our talks with the city of Toronto continue so that we can work together on adopting their plans and what they put into it to build this Ontario Line,” he said. The relief line is currently in the preliminary stages with the design 15 to 30 per cent complete. City council is awaiting an update expected this spring. The relief line southbound, from Pape to Osgoode stations, was projected to be completed by 2029. 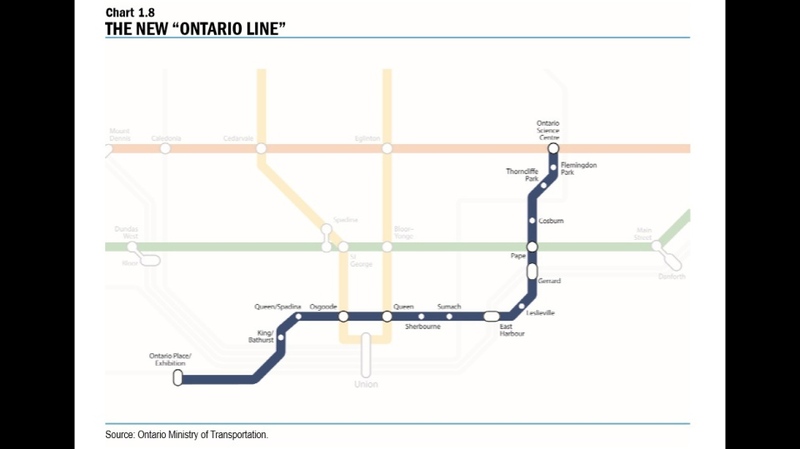 "The Ontario Line" -- Premier Doug Ford's newly redesigned proposal for the downtown relief line -- is seen in this mock up as provided by the provincial government during the announcement of the 2019 budget on April 11, 2019.